It’s no secret how much I love the fall, so I’m taking the first opportunity I can to share a very fall-y recipe, an apple tatin petit gateau! Ok, so if you want to get really technical about it, this isn’t a petit gateau in the traditional sense of the word, but modern pastry seems to have taken the term and applied it liberally to any confection that doesn’t better fall into another category (and is too small to be called a petit four) so I’m running with it. 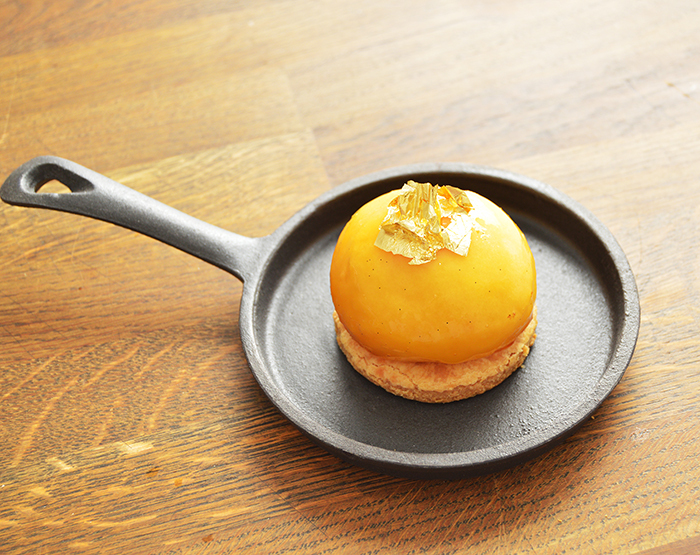 This dish is a play on the classic apple tart tatin, encompassing caramel and apple as the forward flavors. 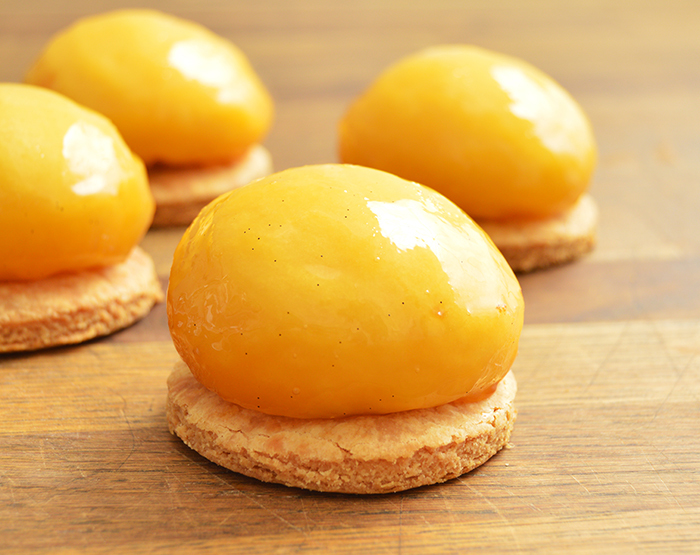 Unlike tart tatin though, this petit gateau has a much lighter application of caramel in cooking the apple, preserving some of the bright acidity and texture of the fruit in the finished product. 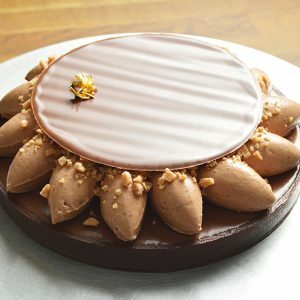 If you wanted a deeper caramel flavor, it’s easily achieved by working with a darker caramel and extending the poaching time. I like to use braeburn apples of course for their flavor, but as importantly because of their ability to hold up to aggressive cooking. Pate a foncer as a base is a small nod to a traditional apple pie, with the tight crumb of the dough lending itself well to cutting and eating but still providing a tender flake. 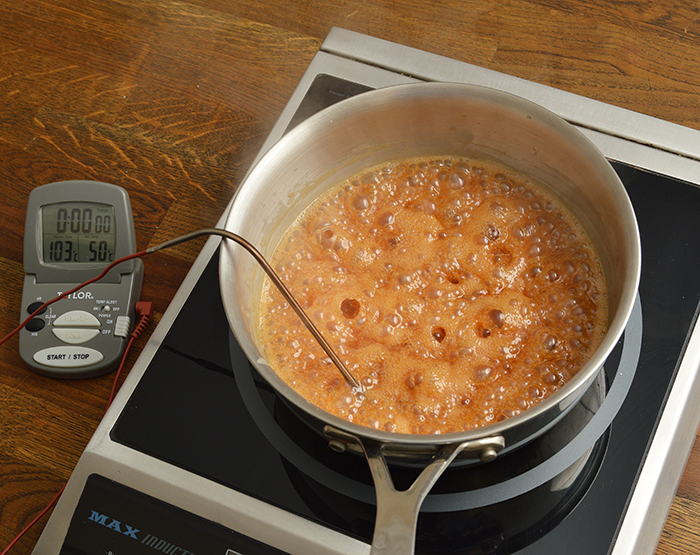 When making the cold flow caramel, the glucose and lecithin are optional. 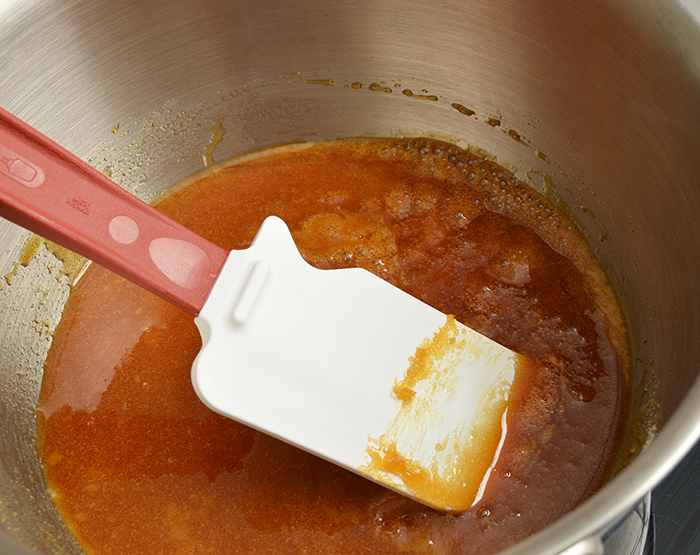 The glucose will help to prevent the caramel from crystalizing, and the lecithin helps to emulsify the mixture into a smooth finished product. 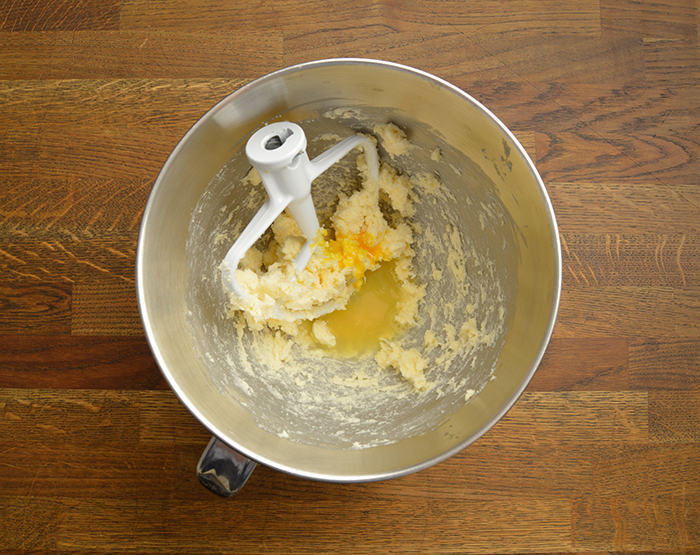 Combine the butter, salt, sugar and egg yolks in a stand mixer with a paddle attachment. 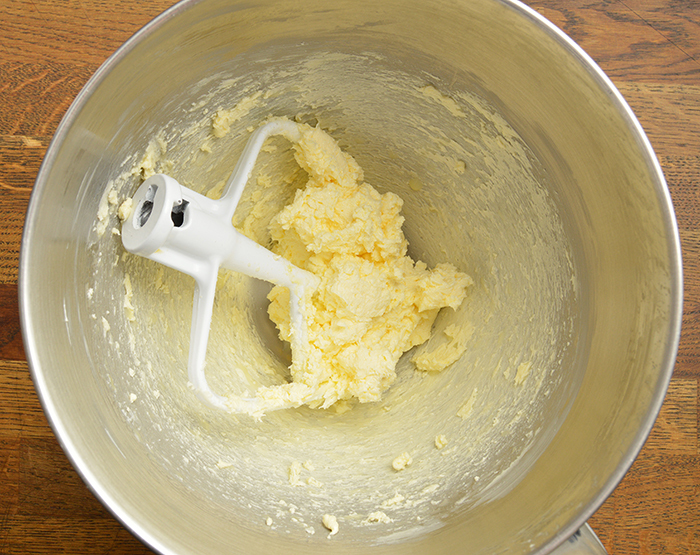 Sift the pastry flour and add it to the butter in two additions. 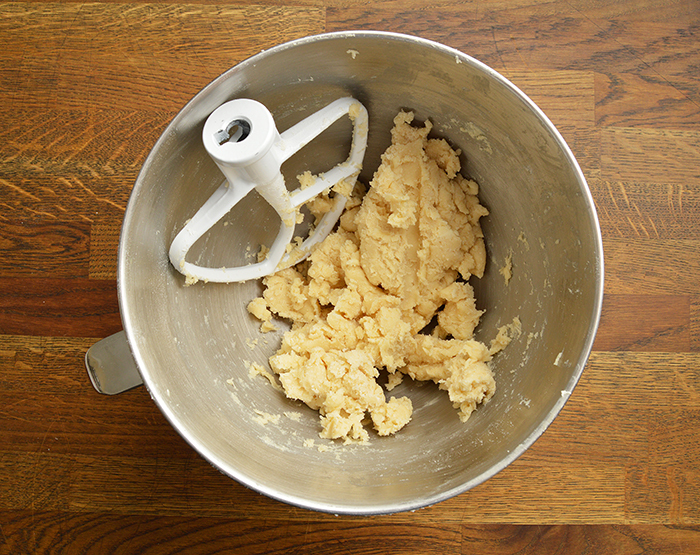 Mix the dough until just combined, being careful not to over mix. Gently shape the dough into a block, then cover it with plastic wrap and let it rest in the cooler for a minimum of 1 hour up to overnight. 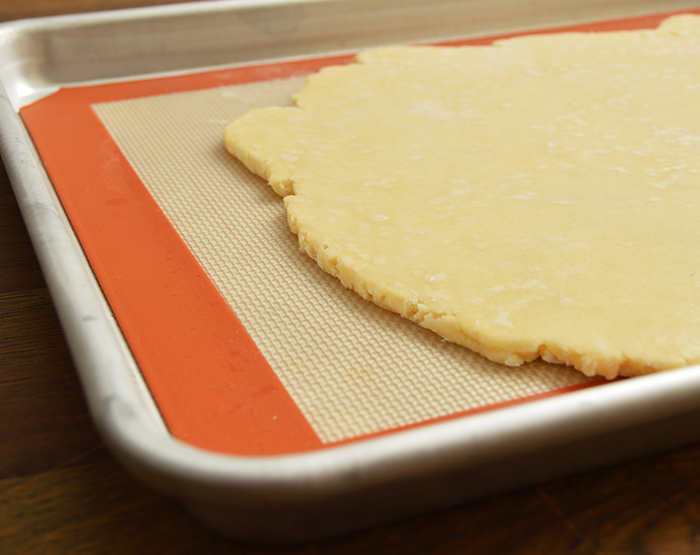 Roll the dough to ¼”/.6cm, and the size of a half sheet pan, about 12×18″/30.5x46cm. 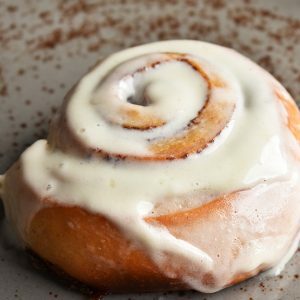 Bake the dough at 375F/190C for 15min., then punch rounds with a 2 3/4″/70mm ring cutter before finishing the baking for another 10-15min. 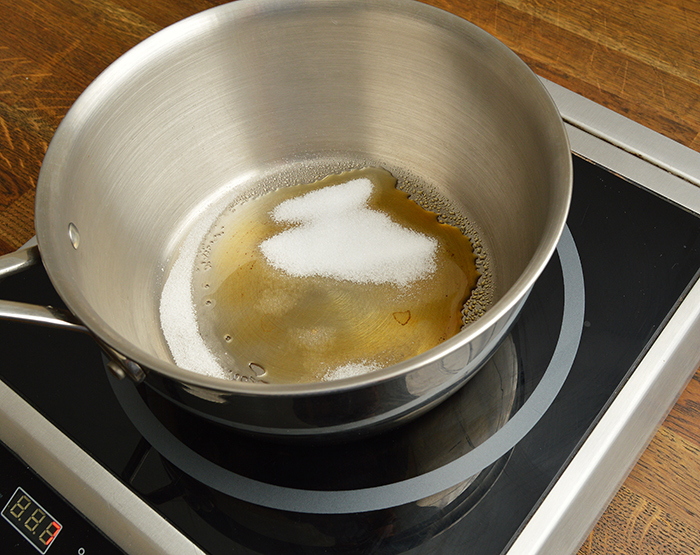 Heat a medium sized saucepot over medium-high heat for 2-3min. 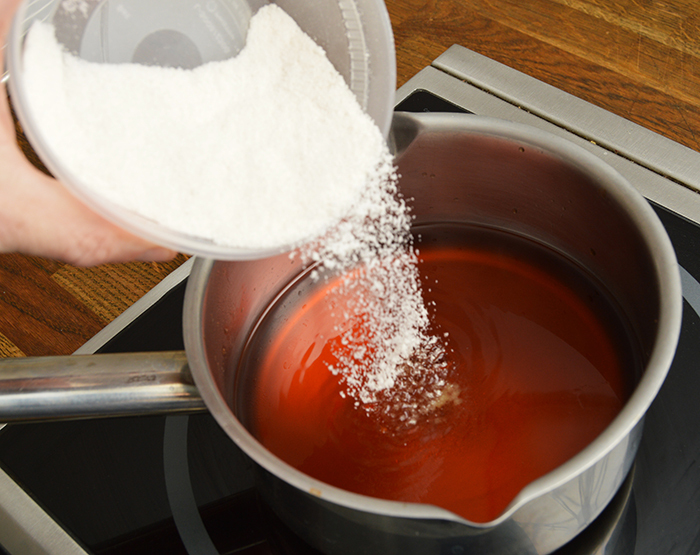 Add the sugar in several small additions, just enough to coat the bottom of the pot. Let the sugar dissolve and add another thin layer of sugar. 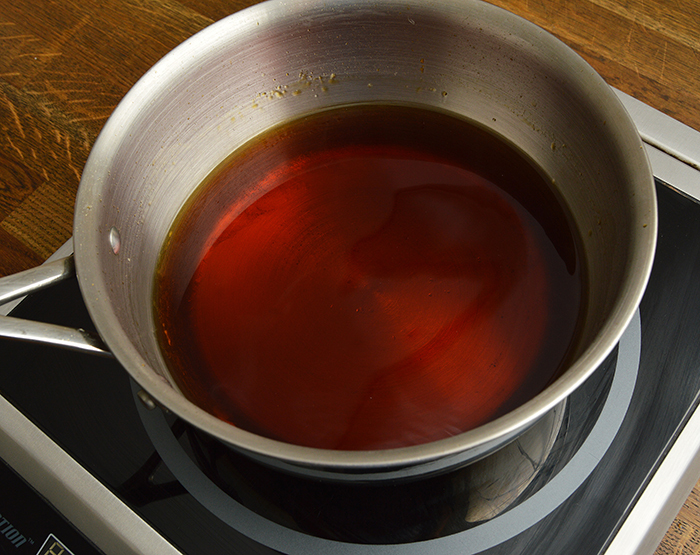 Once you have created some liquid caramel you can continue to add sugar a little at a time, making sure to stir the dry solids into the caramel and not letting there be more solid than liquid in the pot. This will avoid lumps forming while you make the caramel. While the sugar is caramelizing, heat the heavy cream until steaming. Turn off the heat, and add the heavy cream to the caramel in several small additions, mixing well between each addition. 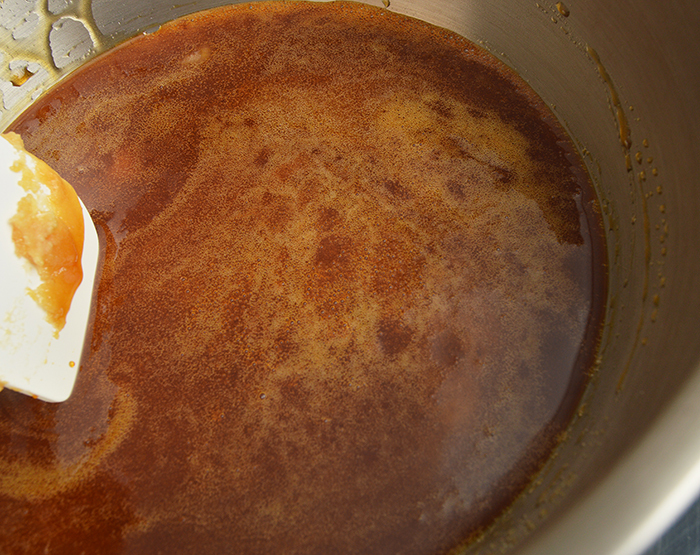 Add the butter, lecithin, vanilla paste and salt to the caramel, mixing well until fully emulsified. 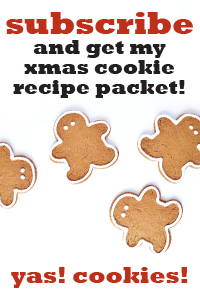 Turn the heat on to medium and cook the mixture, whisking often, to 230F/110C. 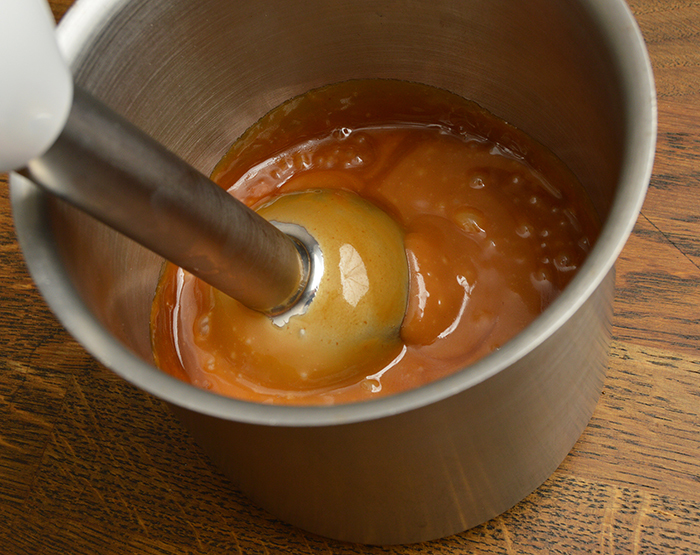 Hand blend or whisk the caramel before cooling the caramel until set. 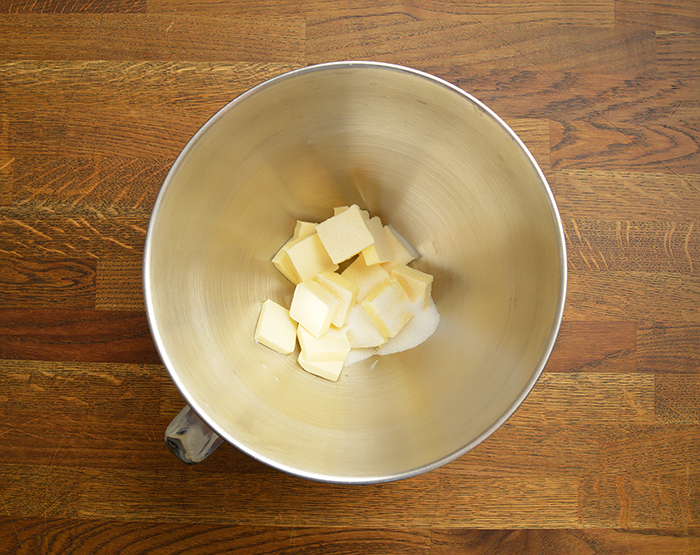 Fill a mixing bowl with water, adding the juice of one lemon. Reserve this to keep the peeled apples in so that they don’t oxidize and brown. 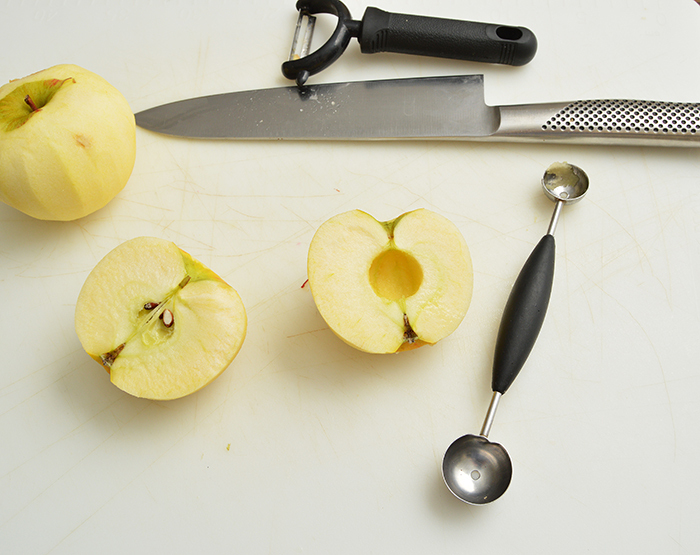 Peel the apples and cut them in the half, removing the core with a melon baller. 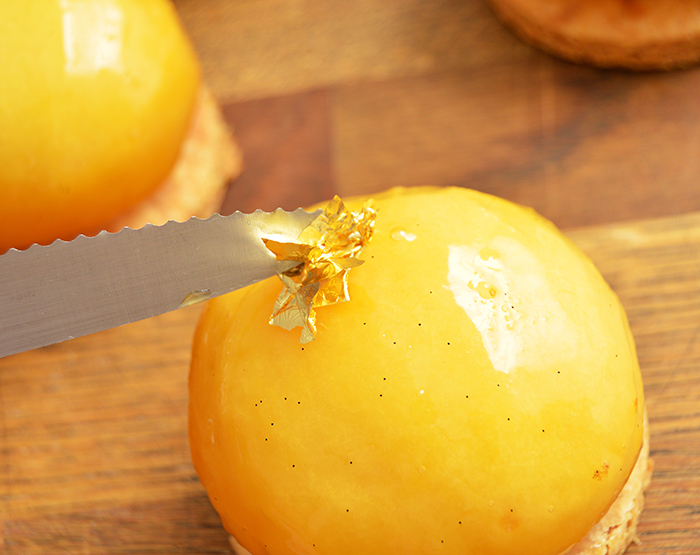 Shape the apple into an even, round shape by carving it down with a vegetable peeler. Place each shaped half in the lemon water when you’re done working with it. Heat a saucepot over medium-high heat for 2-3min. 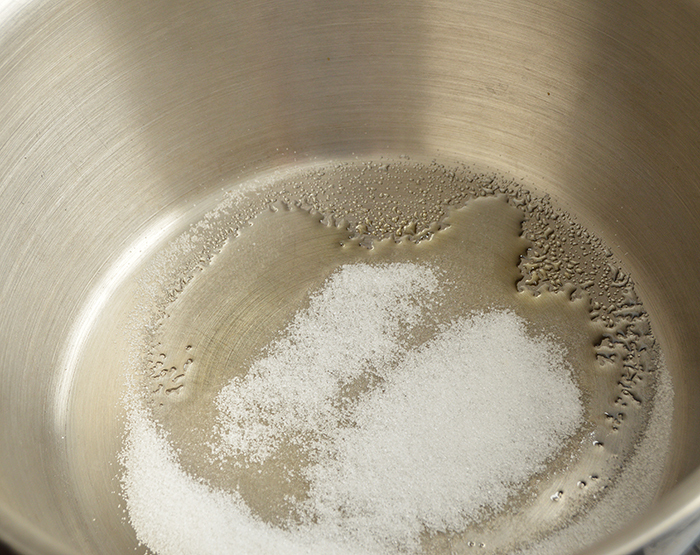 Add a small amount of sugar to the hot saucepot in a thin layer, allowing it to melt before adding more. 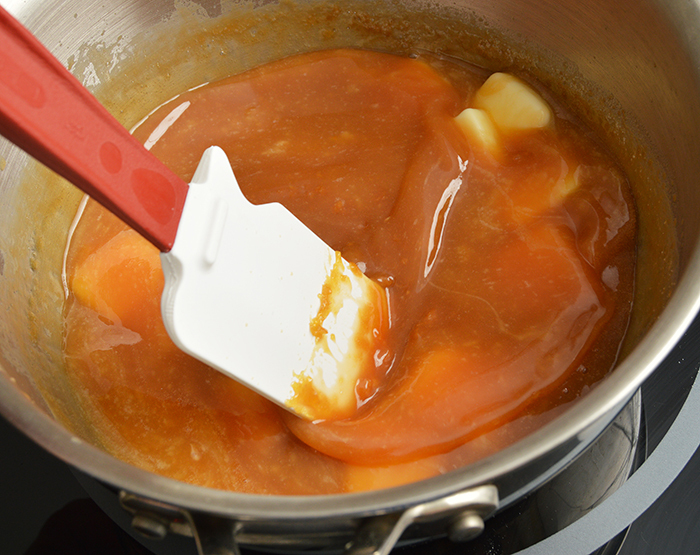 Once you have created some liquid caramel you can continue to add sugar a little at a time, making sure to stir the dry solids into the caramel and not letting there be more solid than liquid in the pot. 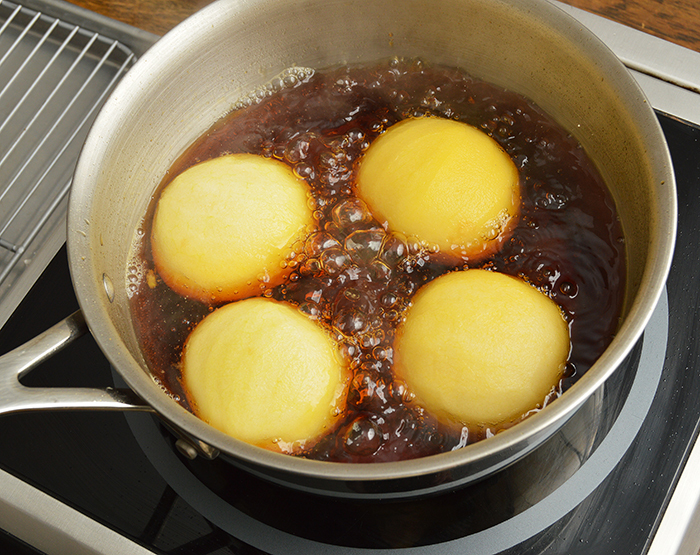 While the sugar is caramelizing, heat the apple juice until steaming. Cook the caramel until it just begins to foam. Turn off the heat of the caramel, and add the hot apple juice in several small additions, mixing well and allowing bubbling to subside between each addition. Add the vanilla paste and salt and bring the liquid back to a simmer. Poach the apple halves in the caramel liquid for 6min. per side. 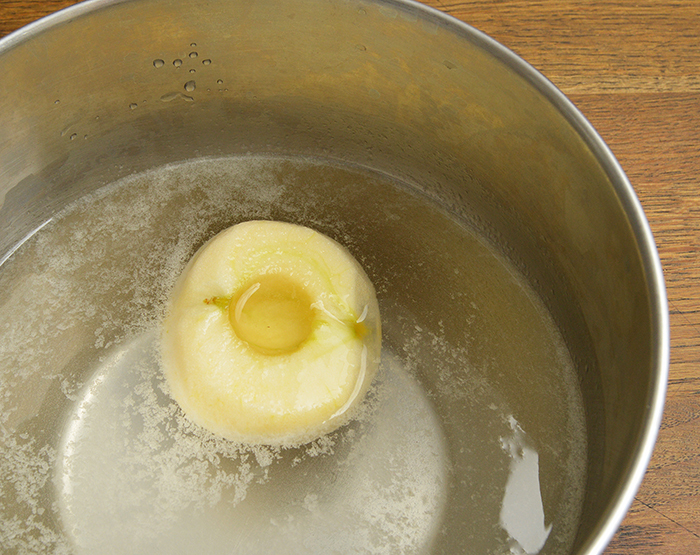 This cooking time will partially cook the apple, leaving a firmer texture in the center. For a fully cooked apple, poach 8min. per side. 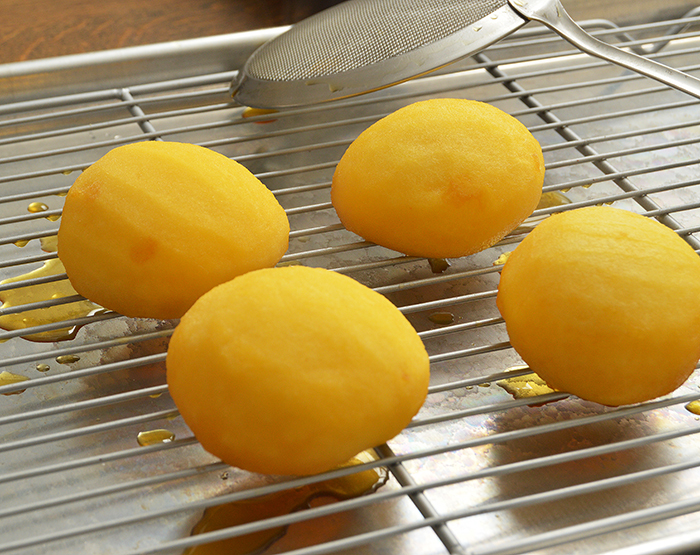 Remove the apples using a slotted spoon and allow them to cool on a cooling rack, with the core facing down. 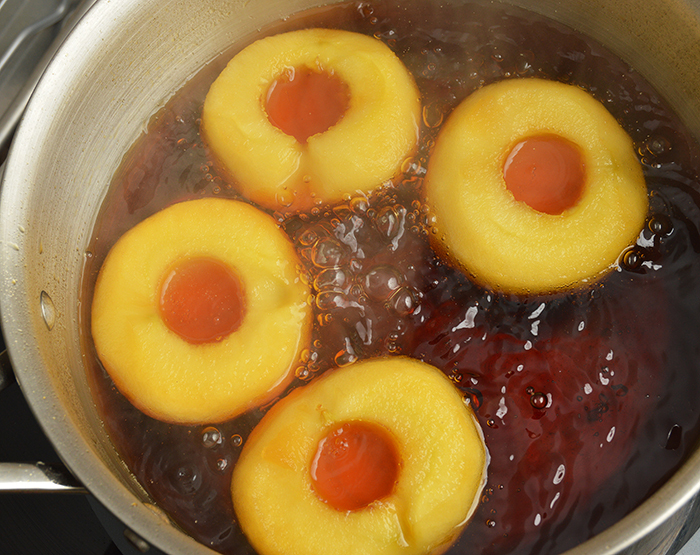 Strain the apple poaching liquid and reserve it to use for the apple glaze recipe. Hydrate the gelatin in cold water and reserve to use later. Heat the poaching liquid in a saucepot. Split and scrape the vanilla bean and add it to the poaching liquid. Combine the sugar and yellow pectin and rain it into the poaching liquid while whisking. Bring the mixture to a boil and cook, while whisking, for 2-3min. Remove the mixture from the heat and add the hydrated gelatin, whisking well until homogenized. Use the glaze at 77-86F/25-30C when casting over cold product. 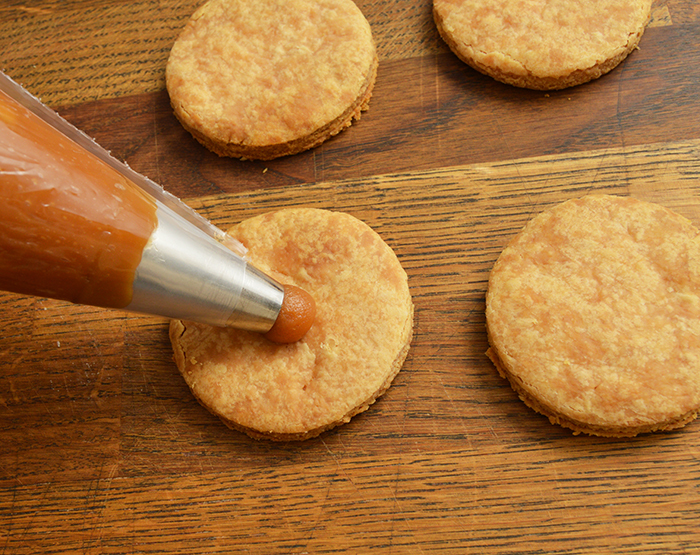 Using a 10mm round piping tip, pipe a dollop of caramel on the center of each round of baked pate a foncer. 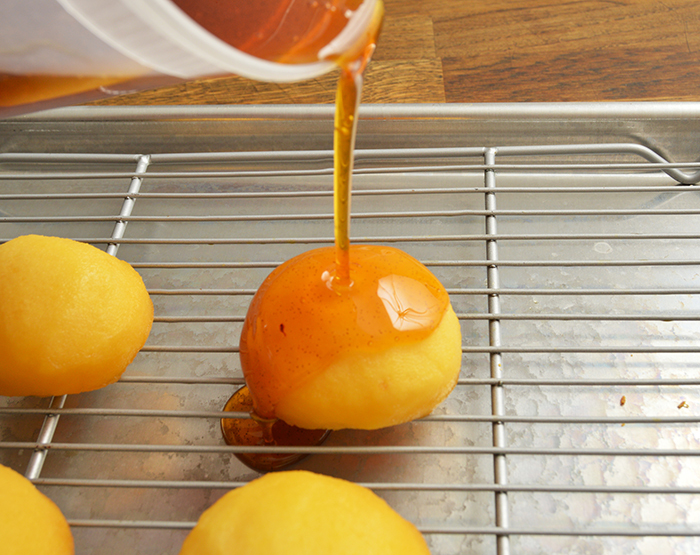 Prepare a glazing rack by lining a half sheet pan with plastic wrap and placing a cooling rack over that. 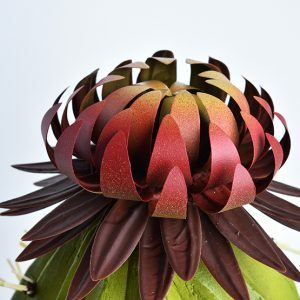 Glaze the apple halves, core facing down, and gently place each apple half onto a disk of pate a foncer, lining the piped caramel to fill the cored center of the apple. 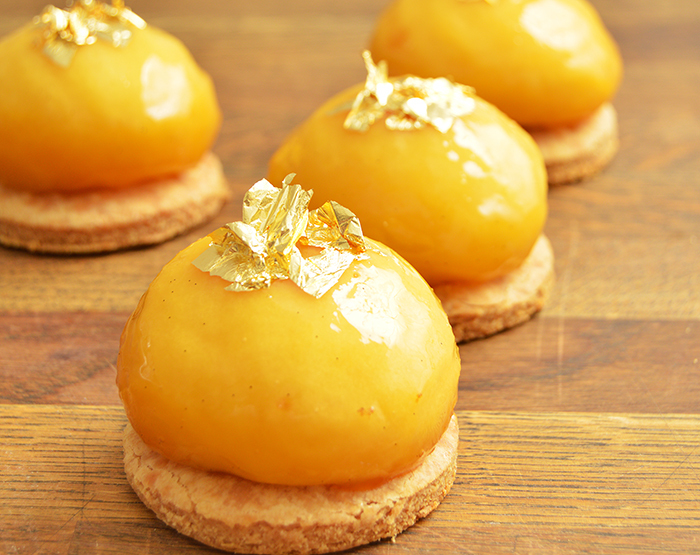 Garnish the apple with gold leaf. I think the best way to serve these bad boys is at room temperature. Maybe with a little vanilla ice cream? Roll the dough to ¼”/.6cm, and the size of a half sheet pan, about 12x18"/30.5x46cm. Bake the dough at 375F/190C for 15min., then punch rounds with a 2 3/4"/70mm ring cutter before finishing the baking for another 10-15min. 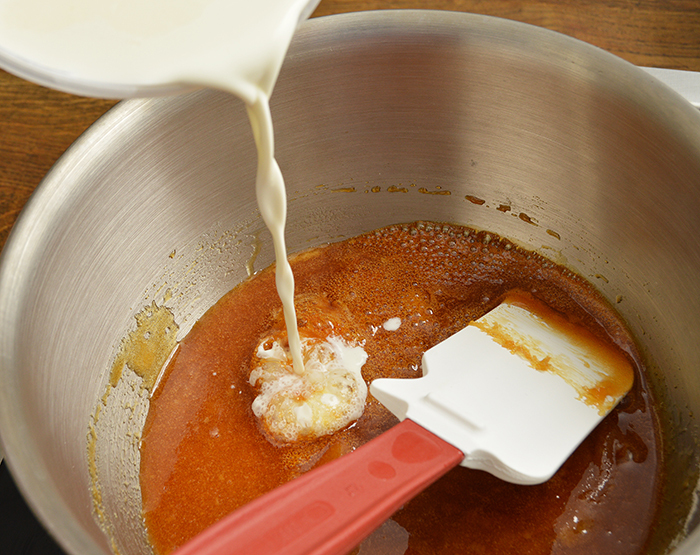 Turn off the heat and add the heavy cream to the caramel in several small additions, mixing well between each addition. Turn the heat back on to medium and cook the mixture, whisking often, to 230F/110C. 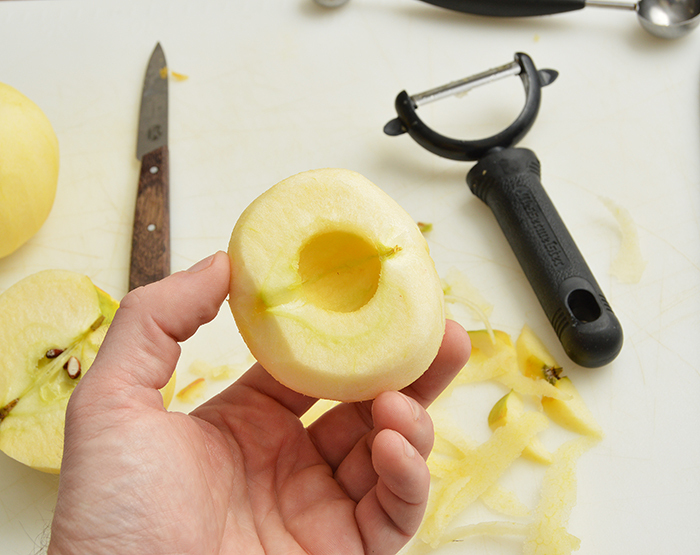 Shape the apple into an even, round shape by carving it down with a vegetable peeler. 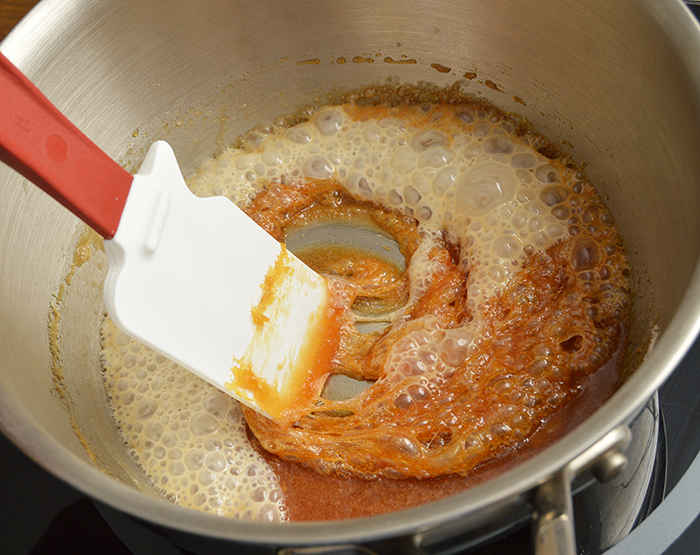 Cook the caramel until it just begins to foam, then turn off the heat of the caramel, and add the hot apple juice in several small additions, mixing well and allowing bubbling to subside between each addition. Is the lecithin 100% required? What happens if it is not added? Good question! Nope, you don’t absolutely have to have lecithin. 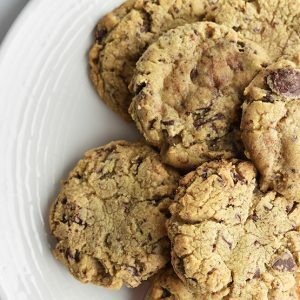 Anytime lecithin is added to a recipe, it’s to act as an emulsifier – helping to bind fat and water in the recipe. 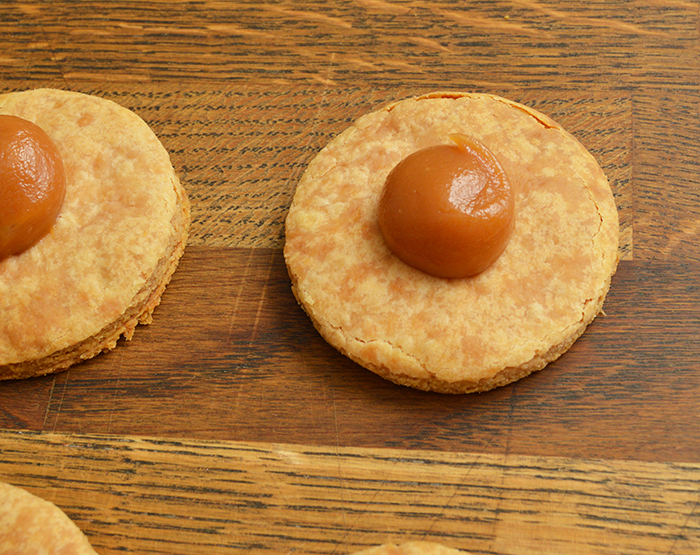 It’s always nice to have when caramel and butter are involved, but not crucial if you don’t have it. I glaze the apples when they are cool or even room temp. (although cool works better). Avoid freezing the apples as it can have a bad affect on the texture, since there is a lot of water in them that will tear the cell structure of the apple when it freezes into ice crystals. 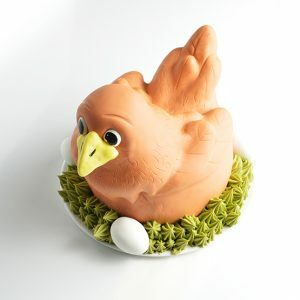 You could use this for a frozen gateau, although it won’t hold as well as other glazes. 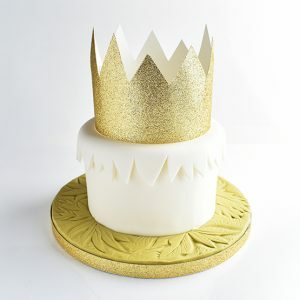 Depending on the shape of the gateau, it may not cover the edge of the cake well. If you still wanted to give it a try, I would use the glaze around 77-86F/25-30C, but you may need to experiment with that a bit.